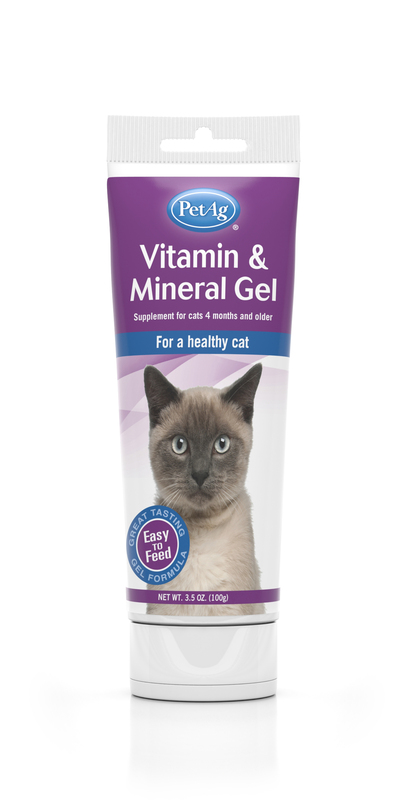 Gives cats 4 months and older a good source of basic daily vitamins and mineral supplementation. Helps support a healthy immune system, bone health, energy, and skin and coat health. Palatable chicken flavor cats enjoy. 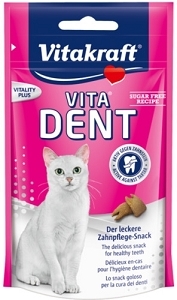 For cats weighing up to 10 lbs (4.5 kg), give 1/2 teaspoon to 1 teaspoon (2.5 - 5 g) daily. 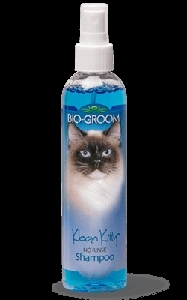 For cats 11 - 20 lbs (5 - 9 kg), give 1 teaspoon (5 g) daily. Feed recommended amount daily. Feed orally. Do not feed to kittens under 4 months of age. Vegetable oil, sugar, corn syrup, corn starch, malt syrup, cane molasses, taurine, artificial flavor, potassium chloride, vitamin A supplement, vita- min D supplement, vitamin E supplement, vitamin B12 supplement, riboflavin supplement, niacin supplement, calcium pantotheanate, folic acid, pyroxidine hydrochloride, thiamine mononitrate, biotin, iron proteinate, ethyenediamine dihydroiodide, zinc proteinate, copper proteinate, manganese sulfate, magnesium sulfate, ascorbic acid (preservative), dextrose, potassium sorb- ate, ascorbic acid (preservative). Calorie Content (Calculated): The calorie content (ME) is 3635kcal/kg or 9 kcal/ per 1/2 teaspoon (2.5 g).